Instant Pot Yogurt? Not only is it easy—it’ll add a new spark to your love affair with yogurt! Just press the right buttons, peek at it now and then, and you’ve made amazing yogurt. You don’t need an Instant Pot to make yogurt—but an Instant Pot is an ace yogurt maker. If you love yogurt, give it a shot—I think you’ll be hooked. Where I live, I can’t find a plain, whole milk organic yogurt I like, so I make my own. And I love my homemade yogurt. It’s silky and luxurious. I’m a yogurt snob now. Why make yogurt with an Instant Pot? Yogurt technically isn’t cooked. It’s incubated—which means its held at a constant warm temperature (between 110 and 116°F). This encourages desirable, heat-happy bacteria to be fruitful and multiply. An Instant Pot’s programming keeps the temperature right in that target zone, eliminating a bunch of potential issues—like stringy yogurt caused by too-warm temperatures. Nope! I have screwed up many other things in the Instant Pot—but not yogurt. What equipment do you need to make yogurt in an Instant Pot? Can you make yogurt in a stovetop pressure cooker? No. An Instant Pot acts as an incubator for the yogurt, keeping the temperature around 110°F for several hours, which is something stovetop pressure cookers can’t do. What ingredients do you need to make homemade yogurt? The pasteurized dairy milk of your choice. Some sources say ultra-pasteurized milk won’t work, but where I live, that’s all I can get, and it works just fine for me. Reduced-fat milk makes a thinner yogurt than whole milk, but you can certainly use it. You can even make yogurt with half-and-half! Some recipes call for adding nonfat dry milk to the regular milk before adding the starter. I used to do this, but I’ve not found it to make a difference in the final product, so now I don’t bother. You can technically make an entire gallon at a time in the Instant Pot, but for your first few attempts, it’s good to keep it manageable, minimizing any (unlikely!) failures. Also, even in your trusty Instant Pot, the larger the volume of milk, the harder it is to keep the incubation temperature steady. Can you use raw milk? You can use raw milk, but because it has its own microbial life already happening, your results might be inconsistent (the microbes in the raw milk and the starter sometimes compete). Can you use non-dairy yogurt? Yes, but the process isn’t quite the same. Here’s a rundown on using soy milk, and one on coconut milk. People report having the most success with those. What about goat or sheep’s milk? Those will work just as well as cow’s milk, though the texture and flavor won’t quite the same as cow’s milk yogurt. Goat milk yogurt is tangy and goaty, with a looser body; sheep’s milk is rich and intense. What is yogurt starter, anyway? A yogurt starter is the collection of desirable, living bacteria that turns milk into yogurt. You have a few different options here. Any plain yogurt from the grocery store can be used as a starter, as long as it says “active cultures” on the carton. This will work, but only for a few batches, because the culture isn’t strong enough to go on for more than two or three generations. Heirloom starters can also be purchased from a specialty retailer (I like Cultures for Health). It comes to you as a freeze-dried powder in small envelopes. “Heirloom starter” sounds fancy, but it’s just a starter that can culture batches of yogurt more or less indefinitely. This includes making a new batch every week or so to keep the culture healthy and robust. Usually there’s a packet of starter for your initial batch, and one for a back-up if something goes awry. Freeze-dried heirloom starters keep in the freezer forever. When selecting an heirloom starter, make sure yours is thermophilic, which incubates at 110°F. 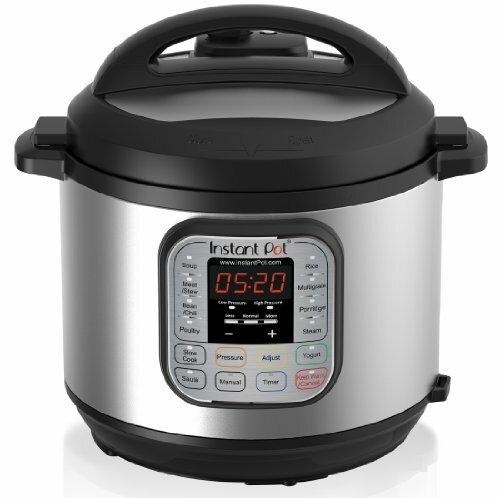 Cultures that incubate at lower temperatures won’t work in an Instant Pot. You can use healthy, fresh yogurt gifted to you by someone who has made their yogurt with an heirloom starter (for you kombucha fans, this is like a friend giving you a SCOBY). The flavor of your finished yogurt is going to depend a lot on the starter you use and the milk you use. Some starters make thicker or tangier yogurt than others. Think of this as an adventure! Consider how different the texture and flavor of assorted commercial yogurts are—same goes for homemade yogurt. Get in the habit of setting aside 1/4 cup of your batch of yogurt to use for making the next batch. You’ll only need 2 tablespoons to get that next batch going, but I like to have 2 extra tablespoons around as insurance. I’ve also used a few tablespoons of whey as a starter, which worked well enough, but took a few batches to get ideal. How much time does it take to make homemade yogurt? For the yogurt to incubate and set, it can take anywhere from 4 to 12 hours. Since there’s so much variability the first time you do it, I recommend starting your initial batch in the morning on a day when you’ll be around the house most of the time. Once you have a good routine going, you can leave the house while your yogurt incubates or make it overnight. This variability is because there are so many factors are at work with fermentation. The fresher and more active your starter is, the less time it takes (usually). The first time you use a dry heirloom starter, it often takes longer. From milk carton to breakfast bowl, it technically takes anywhere from 12 to 24 hours. This includes chilling your finished yogurt and then draining it, if you like. If it seems excessive, remember: this process is 99% hands-off. How do I know when the yogurt is ready? It’s tricky at first to tell when your yogurt is yogurt, and not just warm, tangy milk. When it’s done, the yogurt will all be one mass, not runny liquid. It’ll jiggle like loose Jell-O when you gently nudge the insert. Sometimes the set yogurt will pull away from the sides of the insert, and you’ll see some clear liquid (the whey) floating between the pot and the set yogurt. This is all normal. How long does homemade yogurt last in the fridge? Yogurt is alive, and it gets tangier and thinner the longer you store it. My yogurt lasts about a week and a half in the fridge. Two weeks is doable, but pushing it. Does homemade yogurt have the same texture I’m used to? Most store-bought yogurt contains stabilizers (such as pectin, carrageenan, or starch) to improve its body. Your successful homemade yogurt might be a little thinner than you’re used to with commercial yogurt. It’s often a little lumpy, too. Don’t fret! For smooth yogurt, just whisk it heartily once it’s chilled, and again right before serving. What are some ways to flavor yogurt? First off, don’t flavor yogurt until after it’s finished and chilled. Otherwise you risk messing with it setting right. Personally, I prefer not to flavor my yogurt until before I eat or portion it. That way I’m not locked into anything, and I can use the plain yogurt in recipes. Try some of these mix-ins! My favorite way to flavor yogurt is to serve it with a slice of blackberry pie for breakfast. To each her own! Yes, for up to a month. If you use an heirloom starter and go on vacation for longer than a week, you can freeze a few tablespoons of your healthy, active yogurt for a month or so to use as a starter for your next batch. Any longer than that and results will be spotty. You can certainly do that—there’s even an Instant Pot accessory for it. You can also just use sterilized, heat-resistant jars. Look at the end of the recipe below for that variation. If you like Greek-style yogurt, make one batch directly in the insert, strain it, and divide it in little jars for storage. What are some things that can go wrong? 1. The yogurt does not set and is runny. You perhaps added too much starter, which crowds the bacteria. In the case of starter, more is not better. Two tablespoons is enough to culture half a gallon of milk. You may not have incubated the yogurt long enough. Keep at it, checking every hour or so. You may have added the starter before allowing the just-boiled milk to correctly cool. Very hot milk can kill the cultures you’re depending on. Let it come down to under 120°F and above 116°F. 2. The finished yogurt is gritty or chunky. This can happen when you incubate the yogurt too long. Next time, check your yogurt every hour or so after the first 4 hours of incubation. Got yogurt? Make these recipes! For your yogurt culture, you can use either store-bought plain yogurt with active cultures, a freeze-dried heirloom starter, or yogurt from a previous batch of homemade yogurt. 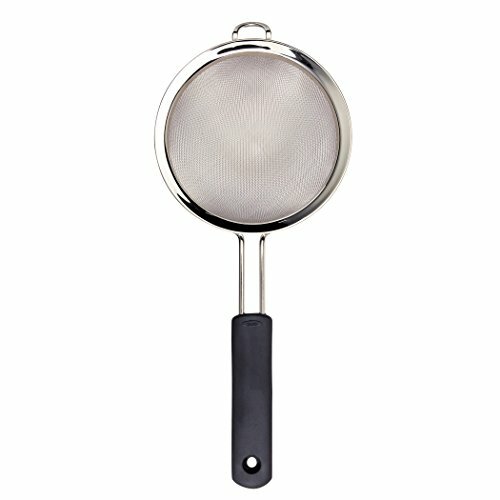 If you are using freeze-dried heirloom starter for the first time, read the directions that came with it. Instead of adding 2 tablespoons of yogurt, you’ll add the entire packet of freeze-dried starter in step 3. After this, you don’t need to press any buttons. Just wait and it will bring the milk to 180° F (this kills off undesirable microorganisms). It usually takes about 30 minutes. Optional: For thicker yogurt, remove the lid, press YOGURT, then press ADJUST so the digital readout again says “boil.” Start a timer for 5 minutes; one the time is up, proceed with the recipe below. This cooks the milk a little longer and leads to thicker yogurt. 2 Cool the milk: Right after the Instant Pot beeps, turn it off and lift out the insert of hot milk. Put the thermometer in the milk and wait until it’s 116° F. This can take as long as an hour. Remove the thermometer. There will be a film of coagulated milk on the surface of the milk; carefully lift this off with a spoon and discard (this film won’t ruin your yogurt, but it creates a distracting texture once it’s finished). 3 Temper the starter: Put the starter in a medium bowl and add about 1/2 cup of the warm milk. Whisk until smooth, then pour into the insert of milk and whisk to combine. 4 Incubate the yogurt: Set the insert of milk back in the Instant Pot, lock on the lid (once again, the steam vent may be open or closed), and press YOGURT. If the readout does not say “8:00,” add time using the + button until it does. The Instant Pot will incubate your yogurt for 8 hours before switching itself off (the display will read “Yogt” once the 8-hour default programming is complete). You can use the +/- button to adjust the incubation time. Note that, when incubating yogurt, the timer counts up (when pressure cooking with your Instant Pot, the readout counts down). So, when readout says “2:45,” it’s been incubating for 2 hours and 45 minutes. 5 Check your yogurt: Start checking on your yogurt after 4 hours. As the yogurt incubates, you don’t want to jostle the Instant Pot too much—it can keep the yogurt from setting well. It can take anywhere from under 4 to over 12 hours for your yogurt to set. A lot of it has to do with how active the cultures in your starter are—fresher starter takes a lot less time to incubate. Be patient and don’t lose hope! Open the lid carefully when you peek; a lot of condensation forms around the gasket and you want to minimize it dripping back onto the yogurt. The yogurt is set when it jiggles all as one unit if you carefully nudge the insert, and it does not run if you tip the pot a bit. You may see some clear liquid (the whey) floating on the surface and at the edges. 6 Cool the yogurt to room temperature without stirring: Once your yogurt is set, gently lift the insert from the cooker. Pouring it out or stirring at this point can make your yogurt runny, which you don’t want. You can set the insert on a rack to help it cool faster, but don’t pop it right in the fridge, since rapid temperature changes can also thin your yogurt. Once it’s at room temp (about 2 hours), set it in the refrigerator. 7 Chill at least 6 hours. The yogurt might seem lumpy after it's been chilled, but a vigorous whisking will smooth it out. At this point, you may strain it or transfer it to sterile containers (I like quart glass jars). 8 Store the yogurt: The yogurt should be good for up to two weeks. As it sits in your refrigerator, it will get tangier and lose some of its body. To make yogurt in heatproof jars (of any size), put 1 cup of water in the insert and set the steam rack on top. Fill the jars with milk, stopping 1/2 inch from the rim. Set them in on the rack; lock on the lid. Press the “Steam” button and use the “-/+” keys to adjust the time to 1 minute. When the cooker beeps, let the pressure release naturally. Open the cooker and use canning jar lifters to remove the jars. Stick a thermometer in one and wait for the milk to cool to 116° F. This can take up to an hour. Remove and discard any skin from the top of the milk in the jars. Divide the appropriate amount of starter among the jars—it’ll depend on how much the jars hold. Return the jars to the cooker, lock on the lid, press the “Yogurt” button, and proceed with Step 4. Hello! All photos and content are copyright protected. Please do not use our photos without prior written permission. If you wish to republish this recipe, please rewrite the recipe in your own unique words and link back to Instant Pot Yogurt on Simply Recipes. Thank you! I’ve been making yogurt in my Instant Pot since we received it for a wedding present three years ago! I use 2% organic milk and save some as starter week to week until it gets too tangy. I strain it in a nut bag to make it thicker and use the whey in my husband’s morning smoothies. Best yogurt ever!!! I make my yogurt with 1/3 heavy whipping cream and 2/3 half and half (plus a small box of store-bought plain yogurt. I pour the mixture in mason jar ahead of time, close the jar lid, then put all the jars inside the insert on a steaming rack. It comes out super creamy and thick! I always do pot-in-pot to make yogurt because as one person eating it, small batches are what works. I’ve found that pressing Steam and setting the time to 0 works even better than setting the time to 1. I’m going to try freezing some to use as a starter next time too, based on your suggestion. I always thought that would kill the cultures, but maybe not! I love my instant pot yogurt. The first batch I made tasted a little like the red beans and sausage I made in my IP the day before, so now I clean out the bowl with boiling water before starting the yogurt. It is fresh, delicious, and doesn’t have that sour taste you get from grocery-store yogurt.